The $2.9 bln all-share union of southeastern lenders Synovus and FCB wiped over $800 mln off their combined market value. Financially, the combination is hard to fault. It may be disappointment over what might have been: the seller gets no premium, and the buyer isn’t a seller. 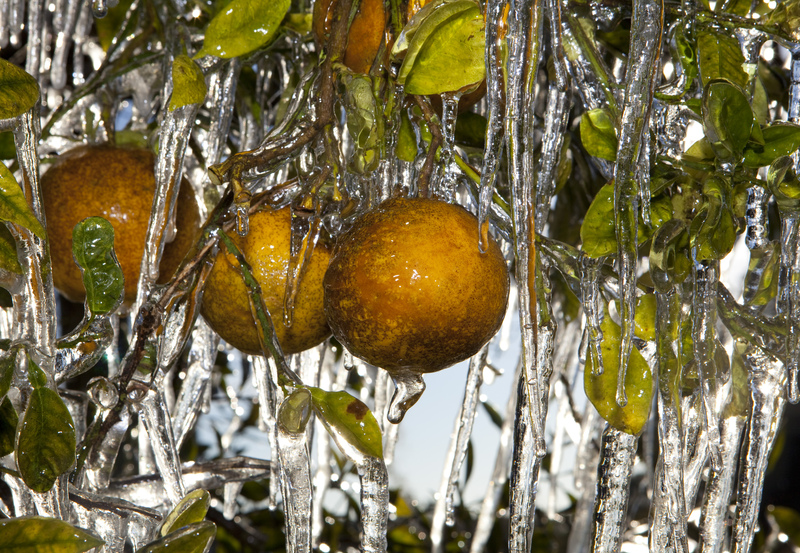 Icicles hang from an orange tree after it was sprayed with water throughout the night in Plant City, Florida January 6, 2010. Synovus said on July 24 that it would acquire Florida-based lender FCB Financial for $2.9 billion in an all-stock transaction. The resulting bank would have $36 billion of deposits in the southeastern United States, mainly Florida and Georgia. The exchange ratio of just under 1.1 Synovus share for each FCB share would give shareholders of the target roughly 30 percent of the merged company. The company expects $40 million in annual cost savings, at a one-off cost of $105 million. FCB’s chief executive, Kent Ellert, would become executive vice president of the merged company, and president of its Florida operations. After the deal closes, which the companies expect to happen in the first quarter of 2019, Synovus would have $44 billion of assets. The level at which the United States regards banks as systemically important, and thus subject to detailed oversight by the Federal Reserve, was raised from $50 billion of assets to $250 billion in May.